Another pretty day, another ride. I was very fortunate to get out for about 30 minutes on the mountain bike on my lunch break. I rode from Grover Center parking lot at Ohio University, through campus, then out the bike path and through the Near East Side to Sells Park. The trails were still pretty damp, so I just did a quick loop around the pond and left. I was only there for less than 10 minutes, but it felt great to have a little dirt under the knobbies. It’s supposed to rain some more this week, so it may be quite some time before the trails are dry enough to ride. Total distance was 6.2 miles in just under 30 minutes of riding. 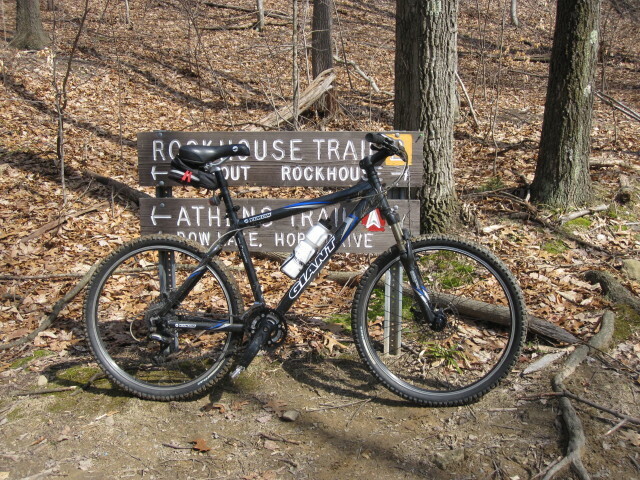 This entry was posted in trail rides and tagged Athens Trail, lunchtime rides, Sells Park by Chad. Bookmark the permalink.